I really enjoyed this movie on many levels. I watched it a couple of times, actually, before surrendering it back to the library. If you enjoy Strangers on a Train or Rope, I highly recommend you give Shadow of a Doubt a watch. This is a very Hitchcock film. It focuses on a perfect, typical, all-American family in Santa Rosa California and the evil that lurks where they least expect it. It’s a simple and exciting story (by Gordon McDonell, screenplay by Thorton Wilder, Sally Benson, and Alma Reville) set in a small-feeling world. Charlie Newton (Teresa Wright), a young woman facing the complexities of adulthood, decides that the best thing to cure her existential dread is to invite her uncle Charlie (who she is named after, played by Joseph Cotton) to visit the family. She greatly admires her uncle and the excitement he brings. When she goes to send him a telegram, she is surprised to find one from him already waiting for her. He’s beaten her to the punch and has decided to come visit the family! She thinks it’s fate. But when Uncle Charlie arrives, things start to get weird. Two men suddenly show up, insisting they are surveying the typical American family and want to take pictures and write an article about the Newtons. They seem extra interested in Uncle Charlie, however, and Uncle Charlie’s odd behavior toward them tips Charlie off that something here isn’t right. Stage Fright was a fun surprise! I’m not sure how well known this Hitchcock film is, but wow is it fun. I watched it about a year ago, fully intending to write a post, but then grad school started up and I had no time for fun or life. But now I have a bit more time to do both (not like I do myself any favors with my schedule). 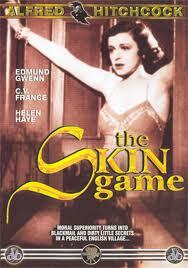 If you want to see Marlene Dietrich at her most Marlene Dietrich-y, pick this bad boy up. Although it’s based on the 1948 novel Man Running by Selwyn Jepson, Stage Fright mixes the story up in a few ways. I enjoyed the movie so much that I’m pretty interested in seeing what the novel is about! If you’re interested as well, just know that it was published under many different names over the years so it might be harder than usual to find. I first must apologize for how bad I’ve been at my blog recently. My life has been quite crazy , so my poor blog has fallen by the wayside. 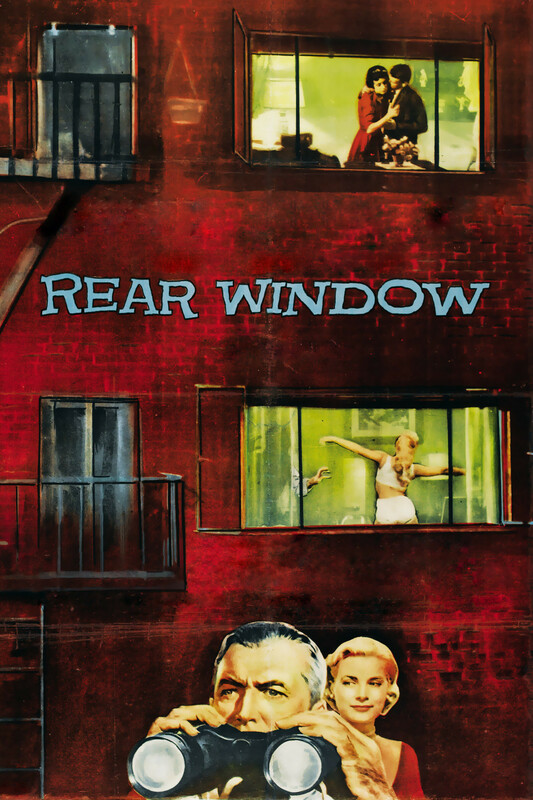 But it is this exact craziness that made me think about Rear Window and want to rewatch it. 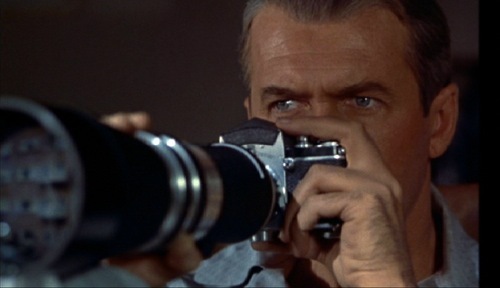 Rear Window was one of the first Hitchcock films I saw in high school, and it remains one of my favorite. The simplicity paired with the high levels of suspense really get to me, and I think that’s why I enjoy all the Blumhouse films now (like Insidious and Sinister). My boyfriend and I recently went through some rather large life changes, and grappling with the general logistics of all of it was incredibly stressful and had some interesting effects on me, such as an unexpected blossoming of paranoia and a touch of mind-numbing arachnophobia (I have never been deathly afraid of spiders before). Maybe the fact that I’m rewatching the entire run of the X-Files is contributing to all of this, but it’s more likely a side-effect of stress and recently being stuck in a disassembled apartment alone every day with mountains of work to do. Another strange development is that I started to notice the neighbors in my old neighborhood a lot more. I picked up on the comings and goings throughout my neighborhood before I left it, and was very invested in what everyone else was doing. Do you see what’s happened here? My legs might not have been broken, but I was definitely channeling Jimmy Stewart in Rear Window. This is nothing new, however. When I was a kid, I became obsessed with Harriet the Spy. I started my own notebook and wrote down everything I saw going on up and down my street and in school. My mom found it and made me throw it away, but I never lost that mentality. Of course, Jimmy Stewart’s paranoia developed out of extreme boredom. My current encounter with it was stemming from stress and the need for escapism, but still, I feel like we’re kindred spirits.